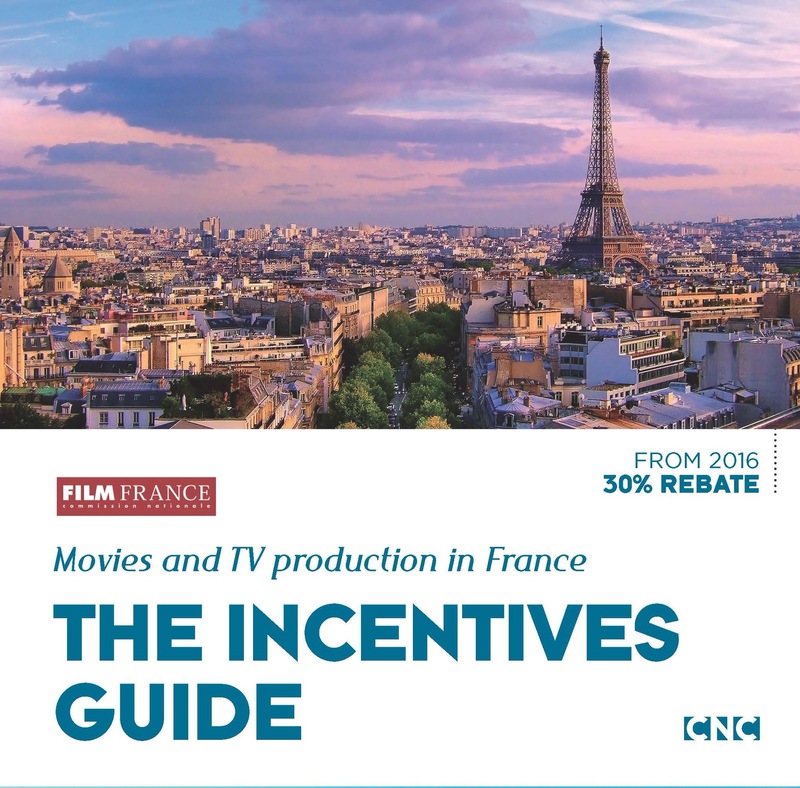 PARIS — In a joint session organized by Paris Images Pro and Paris Images Location Expo, leading French industry professionals discussed the new terms for France’s tax rebate schemes, which include 30% rates for domestic and international productions and a new 25% rate for TV fiction, effective as of Jan. 1, 2016. The round table was moderated by Michel Gomez of the Paris Film Office, and included an opening speech by Frederique Bredin, president of the CNC. The round table speakers were Patrick Bloche, MP for Paris, president of the Commission of Cultural Affairs and Education, Catherine Bozorgan, producer at Manchester Films, Charles Gilbert, producer at CG Cinema (“Personal Shopper,” by Olivier Assayas), Guillhaume Thouret, CEO at Capa (“Versailles”) and Jean Mizrahi, CEO, of technical services company Ymagis. Michel Gomez began the seminar emphasizing the importance of the new terms for the tax rebate schemes, that will create the conditions that are highly favorable for development of the industry, and help safeguard the 150,000 direct jobs in the sector in the Ile de France region alone. Frederique Bredin underscored the importance of the five-event Paris Images Trade Show, now in its 3rd edition, as a key showcase for French talent, locations and technical industries. She revealed the results from a study by consulting agency BIPE, commissioned by the CNC, which revealed that the French film-TV industry employs over 340,000 people across France. It is as big as the French automotive sector and larger than the pharmaceutical sector. Bredin then stated that one of the key challenges facing the sector has been the phenomenon of runaway productions, which has been affecting an increasing proportion of domestic projects, with major consequences for the technical industries. Runaway productions are particularly high amongst films budgeted above €7 million ($7.6 million), which until now have only benefited from a 20% tax rebate. In 2015, 40% of shooting days for films budgeted between $7.6 million and $11 million took place outside France, 60% of VFX work on French films was outsourced to companies outside France and, for big budget films budgeted over $11 million, 70% of shoot days took place outside France. Bredin stated that these results were highly disturbing and led to a very simple idea – to increase the rate to 30% in order to be more competitive with other nearby territories and to allow all French films to benefit from the same rebate levels as international films. This led to the new 30% rate across both the domestic and TRIP tax rebate schemes, with a ceiling of €30 million ($32.7 million) in tax rebate, i.e. a maximum level of eligible expenses of $109 million. It was also decided to introduce a tax rebate scheme for TV fiction at the rate of 25%. In all, using the tax rebate schemes, it is now possible to shoot in other languages such as English, Mandarin etc., but at a lower rate of 20% if more than 50% of the film is not shot in French. However, if more than 15% of the shots use VFX, the rate is 30%. Bredin revealed that the new rates have had an immediate impact on domestic production, stating that 15 shoots initially planned for abroad have been relocated to France. For international productions, that have much longer lead times, the impact will take longer to assess. In 2016, she predicts that there will be $220 million more activity and an additional 10,000 jobs in the sector. Michel Gomez of the Paris Film Office began the round table explaining that over recent years France has developed a magnificent support system, based on the exception (from trade talks) for cultural goods and which is open to other countries via a myriad range of co-production agreements. However, other countries decided to introduce much simpler systems based on tax incentives, which primarily had an economic logic and produced rapid consequences in terms of attracting productions from France. This was the main challenge faced by the sector, he suggested. Patrick Bloche, MP for Paris, who played a key role in steering the new tax legislation through the French parliament, explained that from the early 2000s onwards the phenomenon of runaway productions was a major challenge for the French film industry. He provided a brief overview of changes to the domestic tax rebate scheme over recent years, including an increase in the ceiling from €1 million to €4 million, and an extension of the rate from 20% to 30% initially for films budgeted below €4 million and then for films budgeted below €7 million. However, the new system is a radical change, increasing the ceiling from €4 million to €30 million and with a standard rate of 30% for film and 25% for TV fiction and the possibility of shooting in languages other than French. He emphasized that the tax rebate scheme may appear to be a cost for the tax office but actually has a virtuous effect on the economy since every euro of tax rebate creates €11 in the French economy, by boosting jobs and expenditure, and has a direct impact by creating a further €3.6 in tax revenues for the state. Bozongon, at Manchester Films, explained that for her upcoming $22 million production, Albert Dupontel’s “Au revoir là-haut,” she decided to relocate the shoot to France after learning about the new domestic tax rebate scheme. The shoot had initially been planned for Hungary, but after doing a feasibility study she decided to relocate to France, with the shoot planned for March. She estimated that on the $22 million budget, $8.4 million would have been spent abroad, including $2.5 million in salaries and $1.7 million in fringes. Guillhaume Thouret, CEO of Capa, explained that the new 25% rebate for TV fiction, allowing shoots in languages other than French, has had a huge impact on the considerations for shooting the second season of the English-language TV series, “Versailles,” which rolls at the studios in Bry sur Marne on Feb. 3. He said that Season One was a major risk for the co-producers, including Canal Plus but had delivered a significant domestic and international success with ratings of over one million per episode on Canal Plus. For Season Two, they wanted to reduce the risk and considered shooting abroad or even transforming the production into a foreign shoot in order to benefit from the more favorable TRIP tax rebate scheme. Capa also considered releasing the production as a film in cinemas, in order to benefit from the cinema tax rebate scheme. Thouret concluded by explaining that as a result of the new 25% tax rebate, Season Two is in better economic conditions than Season One and lays the foundation for contemplating a continuation of the series. Gillibert, at CG Cinema, suggested that directors with whom he works, such as Olivier Assayas, previously used to consider shooting abroad whenever they wanted to use the English language, simply because of tax credit regs. This posed problems for Olivier Assayas’ “Personal Shopper,” starring Kristen Stewart, about the fashion world, shot partially in English, which began production in October 2015. Jean Mizrahi, CEO of technical services company Ymagis, emphasized that there is very strong competition in terms of tax rebates from Belgium and Canada, and also revealed that in Belgium, where his company also has operations, the sector is already feeling the impact of the new French rules. Michel Gomez rounded up the seminar by asking Patrick Bloche whether the new measures are likely to be maintained over the medium term. Bloche replied by stating that he was convinced that the new system would be successful and create benefits for the public purse and would therefore almost certainly be maintained. Industry professionals interviewed by Variety during the Paris Images Trade Show concurred with the observations made during the seminar and also identified areas that may still be revised within the tax rebate schemes. In the case of the domestic tax rebate scheme, if languages other than French are used in more than 50% of the film, the rate is 20%, compared to 30% for French language productions and the use of another language must be relevant to the script. This rate may be reviewed. Another important area to be reviewed within the TRIP scheme concerns extension of eligible expenses to include actors’ salaries. This applies in the U.K. and Belgian tax incentive schemes but doesn’t apply in the French scheme, which makes a major difference to the level of tax rebate available. Again, this issue may be reviewed. The CNC is also reviewing its tax rebate scheme for the VFX sector to see if it can be made more competitive. The CNC has commissioned a study from Jean Gaillard, former director of IMD France and former director of new business at Mikros Image, and president of the Innovation Commission at the CNC. His study will be delivered in May and will analyze how French public policy can leverage its assets in the VFX sector, especially given the fact that it has some of the world’s best animation and VFX schools, which annually export talent to other countries, such as Canada and Belgium.